Hello from Kushtia Diocese, Church of Bangladesh Kushtia is the second diocese of Church of Bangladesh established in the year 1990. It has two Deaneries – Rajshahi and Bollovepur and a total of 37 Parishes with equal number of Churches. The biggest deanery, Bollovepur , of the Church of Bangladesh in terms of members belongs to this diocese. 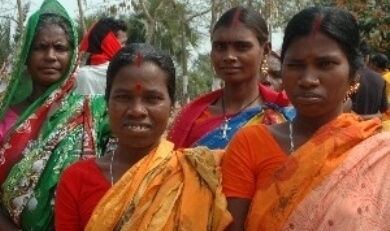 The diocese is home of a large number of Santal ethnic communities. The diocese has an active evangelical program that has been undergoing in 25 villages of Rajshahi, Naogoan, Dinajpur districts. The diocese has a good number of social and economic development programs including health, education, micro-credit , arsenic mitigation, climate change adaptation, youth and women development, alternative livelihoods promotion and so on for poverty reduction and building resilience against natural and climatic disasters.